Still Night: Music in Poetry is a 60-minute song-cycle combining poetry that spans centuries and the globe with music composed by Andrea Keller. A meditation on omnipresent sentiments of death, grief and loss, Still Night was specifically composed for this line up. The text has been drawn from a selection of poetry including tenth-century Japanese poet Izumi Shikibu, nineteenth-century English poet John Keats, American writer Walt Whitman, Irish poet William Butler Yeats, French novelist Marcel Proust, American poet Sara Teasdale, and further into the twentieth-century with American writer e. e. cummings, Welsh poet and writer Dylan Thomas, to contemporary Australian poet, dancer and filmmaker Richard James Allen. The impetus for Still Night is perfectly captured in Robert White’s eloquent liner notes to John Dowland’s ‘In Darkness Let Me Dwell’, “meditating on a beautiful expression of sadness can help to provide a thoroughly uplifting sense of consolation”. Sophie Min is a rising jazz pianist and composer who has collaborated with prominent Australian musicians such as Kristin Berardi, John Hoffman, Rafael Karlen, Queensland Youth Symphony Orchestra and the Queensland Wind Orchestra. She has been a member of the prestigious JM Jazz World Orchestra touring Belgium, Switzerland, Netherlands, Germany, Croatia, Italy and Denmark and has performed at North Sea Jazz Festival. She graduated from the Queensland Conservatorium with a masters degree in jazz performance, and as the recipient of the Owen Fletcher Postgraduate Award, attended Centrum Port Townsend Workshop in Washington, the Barry Harris Workshop in NYC, and studied with Kevin Hays and Randy Ingram. 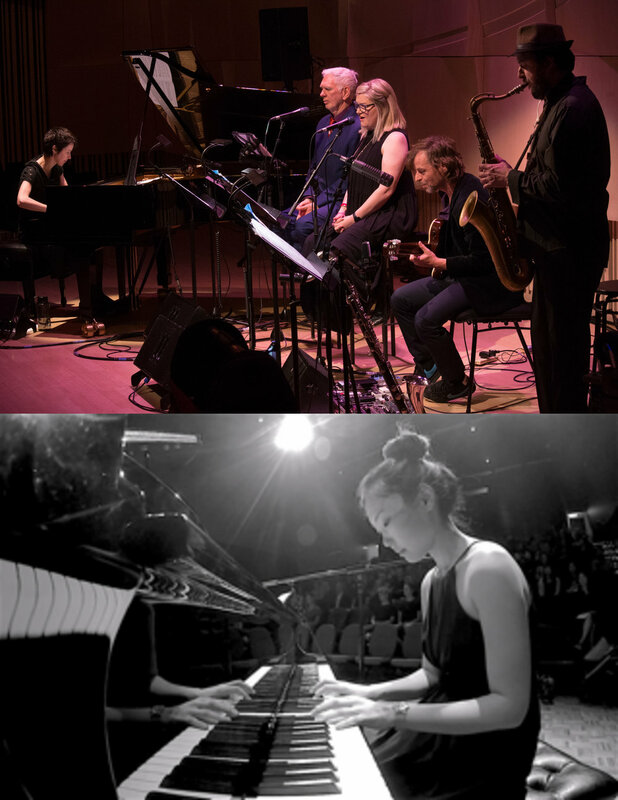 Sophie has performed with her trio at the Brisbane International Jazz Festival, QPAC and City Council Projects. She makes her MWIJF and Melbourne debut in a stunning new collaboration with the virtuosic and always lyrical James Sherlock on guitar.